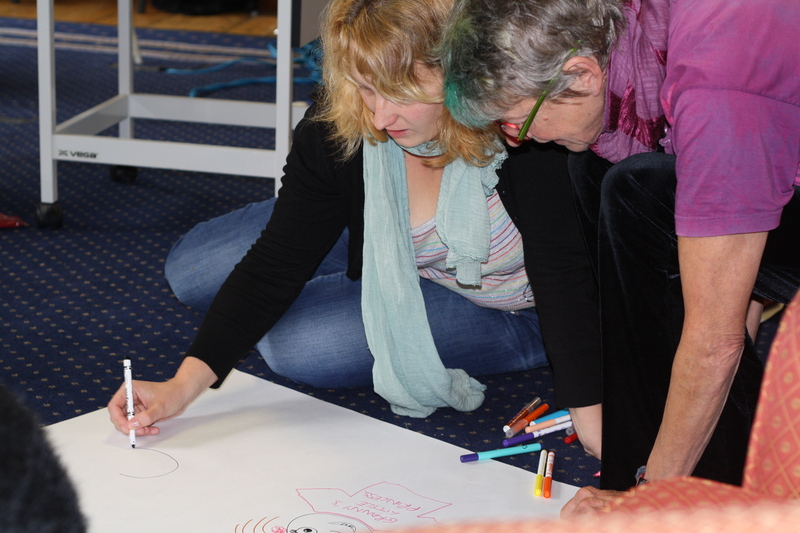 Thinking about how young children learn to ‘do’ boy or girl at the Gender Respect Residential. Our project started with a residential weekend for all the teachers involved. Here Chella, one of our teachers, tells us about what they got up to. As one of the teachers selected to take part in this three-year research project, I was really excited that we’d be kickstarting it with a residential at Wortley Hall, just north of Sheffield – it’s been an amazing opportunity to get to know the other researchers and members of the steering committee, and to really immerse ourselves in the ethos of the project in some beautiful surroundings. On the Friday evening, steering group member and experienced drama practitioner Heather Hunt started us off by leading us through some icebreaker activities during a walk through the grounds. We played ‘Yes! Let’s!, which is an improvisation warm up game all about making suggestions and enthusiastically accepting ideas from others. This activity paved the way for much trust and good will among the group. The drama work continued that afternoon with a visit from the outstanding local theatre company, A Mind Apart, who used Augusto Boal’s Theatre of the Oppressed techniques to support the group to explore and reverse gender stereotypes in our own pasts and in our current classrooms. This was quite cathartic for those of us who addressed moments from our own schooling that had an impact on how gender stereotypes were modelled to us as children. We rounded off the evening with a lively ‘nature or nurture’ debate using the Philosophy for Children format, and began to think about ideas for our initial action research. On Saturday, we started getting to grips with some quite disheartening definitions of gendered violence and key data from the UN about girls’ experiences of violence both locally and globally. It really was valuable to have time away from school and the usual demands to really delve into this material with much support from DECSY’s Helen Griffin. We felt empowered, though: the attitude of the game ‘Yes! Let’s!’ – of working together, taking the risk of trying out new ideas, and creating a safe space to share and contribute – was a brilliant and inspired way to begin this project – it’s the attitude that will sustain us while we carry out this research for the next three years. Ultimately, that’s what we want young people to do. The ‘Yes! Let’s!’ attitude is one we hope to engender in our students, so they can take action and build momentum to challenge gender stereotypes, inequality, and violence and fully participate with us in the Gender Respect Project.